Scott Beattie, until recently a drilling engineer for Shell, has opened his new gym. Mr Beattie had also worked as a fitness trainer for youths who attend Robert Gordon’s College. And having spotted a gap in the gym and fitness market he decided to throw himself into making it a full time business. 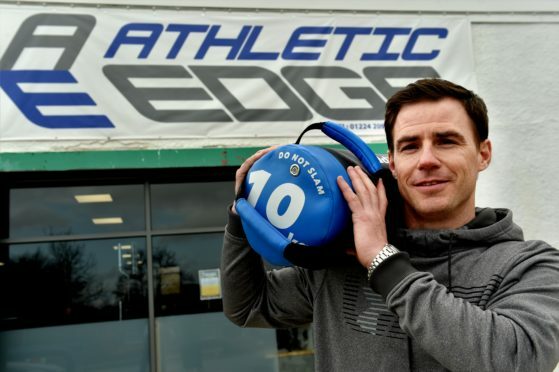 After purchasing the former Nevada Bob Golf shop on Springfield Road and investing around £150,000 in turning the space around the new Athletic Edge Gym was officially opened last month and he already has 25 members. Mr Beattie has employed a further three personal trainers to work in the gym alongside him. 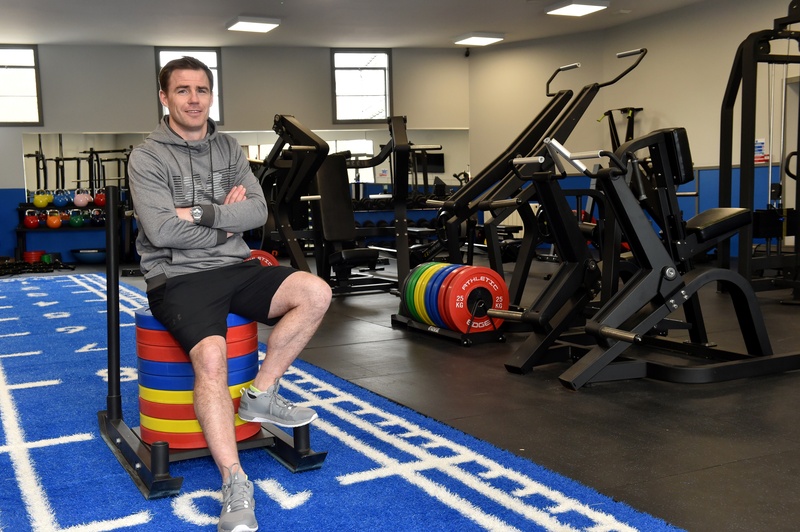 As well as being able to offer memberships, unlike other gyms, Mr Beattie wanted the facilities to be accessible to all and from the end of this month will offer a nine week programme for teens which include three 90 minute sessions a week with a fully qualified strength coach. The gym is available for adults too, however Mr Beattie said he really had youths in mind when he was envisaging the place. He added: “I think people are starting to get much better at understanding the benefits of strength and conditioning, not only for the benefits it brings to contact sports but also things like football. 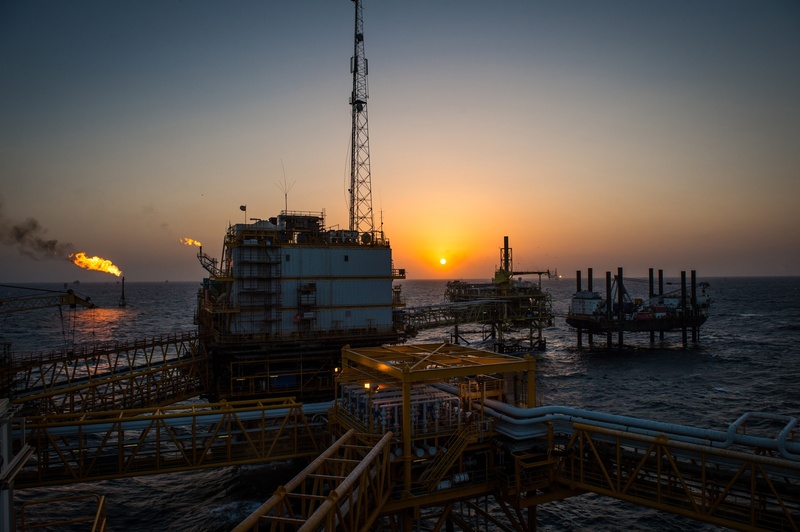 “I enjoyed working at Shell but I have always loved the idea of having my own business and it’s never a thought that really left me. So I believe it was the right time to throw myself into it. “We got the keys to the premises on December 23 and apart from a day off at Christmas I haven’t stopped working since. Mr Beattie is from an entrepreneurial family with his brother and sister-in-law Emma and Paul having recently purchased The Globe Inn Pub. The husband and wife duo, who also attended Cults Academy, had been running Roo’s Leap in the Highlands but decided to move back to the Granite City when they had their first child more than a year ago. Having worked in the hospitality trade the pair said they knew they wanted to continue to run a successful venue and approached Greene King to make them an offer. Since taking over the business the pair has made a number of changes including reintroducing live music and cooking freshly-made food. But they said their main goal was to create a warm, friendly and relaxed atmosphere for all of their customers. The business now employs around 16 members of staff, including newly appointed chefs. They come from a long line of publicans as his mother Thelma used to be a partner in the Dutch Mill Hotel in the west end of Aberdeen – which is now owned by his uncle and cousin.